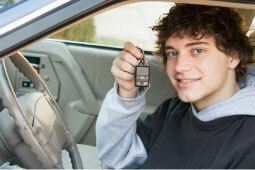 Last year the Insurance Institute for Highway Safety (IIHS) released its first list of recommended used vehicles for teenage drivers. They recently updated this list, and it has grown over 50% while maintaining the same safety and pricing criteria. The recommended vehicles were chosen based on three principles: higher horsepower should be avoided; bigger, heavier vehicles are safer; and electronic stability control is a must. Based on price and previous crash ratings, vehicles are categorized as Best Choices or Good Choices. Click here to view the complete list of recommended vehicles.